The Bachelor’s 6th season is about to start in Australia. There are already a bunch of exciting bets available regarding the show. You can bet on the age of the winner, her hair color and where she’s from. There are some difficult decisions to make here, but we always have your back. Here are our ‘The Bachelor Australia 2019’ predictions. The Bachelor’s 6th season is about to start in Australia and we’re already super excited about it. It’s going to be on air between 15 August and 4 October. This year’s Bachelor is going to be Matt Agnew, the 31-year-old astrophysicist, who somehow just couldn’t find true love yet. Fortunately, as we all know, the best place to pick up girls nowadays is Tinder an Aussie TV show, so Nick’s heart will be in safe hands for sure. If you don’t find the concept of this TV show exciting enough, you can spice things up a bit with gambling. That’s right, at Unibet Sportsbook you can even bet on the age of the winner, her hair color and even on where she’s from. Of course, it’s not easy to predict anything like that before the show kicks in, but we’ve given it a go. We took a look at the odds, done some research, and made our The Bachelor Australia 2019 predictions for you. Well, we argue that it’s easier to find a rather silly girl below the age of 25 than in an older age group. Also, let’s just go back in time for a second and look at the age of the winners. While all of the guys were in their thirties, two of five girls were actually 25 or under. Furthermore, we feel that a younger lady would look good next to Matt. Just look at his baby-face, can you imagine a thirty-something old woman next to him? We can’t. At the time of writing this article, Unibet Sportsbook pays really well if you successfully bet on the “25 or younger” age group. We’ll definitely give this a go. First and foremost, let’s talk about the saddest thing in this show: no ginger girl has ever managed to win. Bookies don’t expect it to happen this year, and neither do us. You can also bet on the winner to be bald, but let’s not kid ourselves here, this is a serious show. We’re absolutely sure and certain that the winner will be either blonde or brown. This is a two-horse race. In the past, only blonde (2) and brown (3) girls managed to go all the way (in the competition). Bookies expect a blond winner here, so we argue that you should pick the brown option here. You can win more by picking a brunette, while the chances are still 50-50. New South Wales and Victoria are the most populous states in Australia. It’s no surprise that 4 of the 5 previous winners were from these states (2-2). 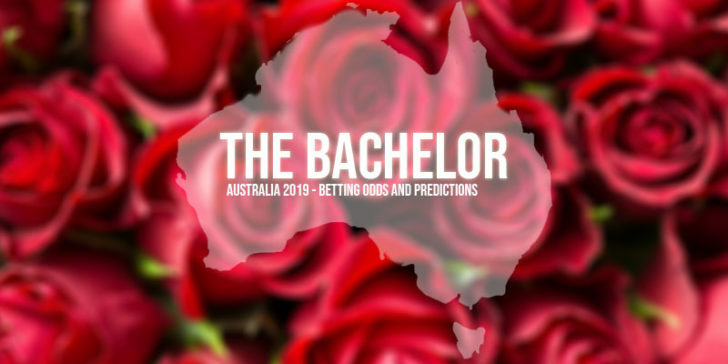 Bookies believe that the potential winner of The Bachelor Australia 2019 will be from New South Wales, or maybe from Victoria. This isn’t shocking either.